Huawei's designs have always been in line with the latest mobile trends. On March 26, 2019, Huawei released a new Huawei P-series smartphones, Huawei P30 and P30 Pro. The P30 and P30 Pro are double sided glass phones with a new Leica lens for stunning dark lighting. For Spotify Music fans, enjoying Spotify music on Huawei's new devices is a great experience. Here, we will show you the best way to transfer Spotify music on Huawei P30 for both premium and free users. Spotify songs are encrypted with DRM copyright technology, which prevents Spotify members from streaming music to some devices and players without Spotify app. Once you cancel your Spotify subscription, Spotify music that you downloaded offline during the subscription will not play properly. In addition, you can’t play any Spotify Music without Spotify even though you are a Spotify Premium. So how can you stream Spotify Music to Huawei P30 without Spotify? Here we would recommend you a professional DRM removal tool for you. How to Achieve the Goal：Streaming Spotify Music to Huawei P30? 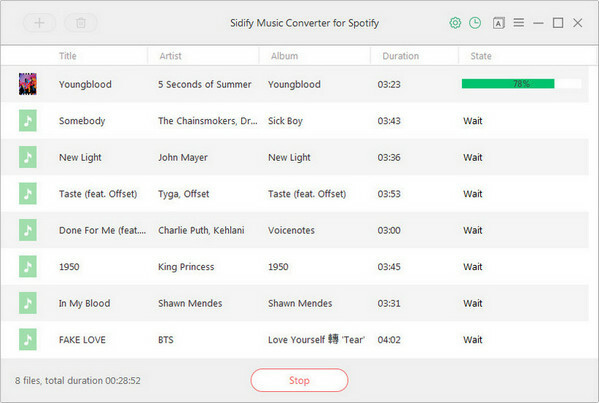 Sidify Music Converter for Spotify ( For Windows | For Mac ) is the best DRM removal to remove DRM from music or playlist from Spotify and also convert them to plain MP3, AAC, FLAC or WAV format with the best audio quality. This product is a good design for music lovers. You can easily drag & drop a Spotify music or playlist from Spotify to Sidify for importing and downloading. Besides, Sidify Music Converter can preserve Artwork and all metadata after conversion. Once removing DRM from Spotify, you can enjoy your Spotify music on your favorite device and player. 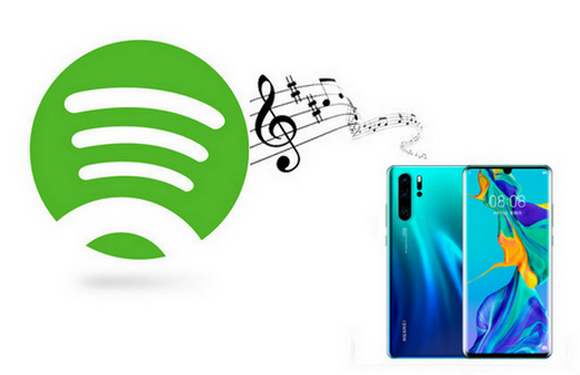 Tutorial: How to Stream Spotify Music to Huawei P30? Now let's look at how to download Spotify music to a windows computer for transferring to Huawei P30. If you are a Mac user, please refer to How to Download Spotify music to MP3 on Mac for detailed steps. 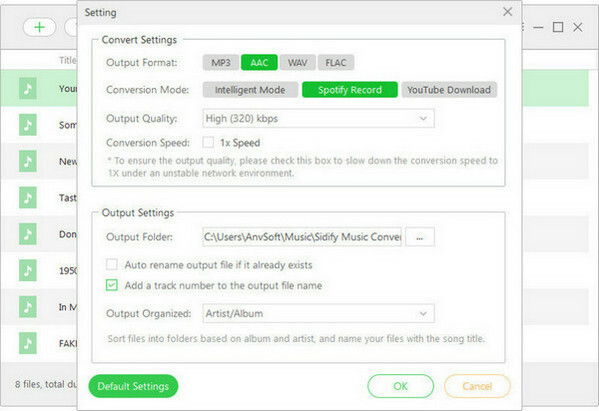 Before you can start downloading music, you'll need to install the Sidify Music Converter for Spotify on your computer. Also, make sure your Spotify is well-installed. Launch Sidify program, your Spotify will be launched automatically. Then click icon or "Click Here to Add Audio", a new dialogue will pop up to let you paste the URL of Spotify music. 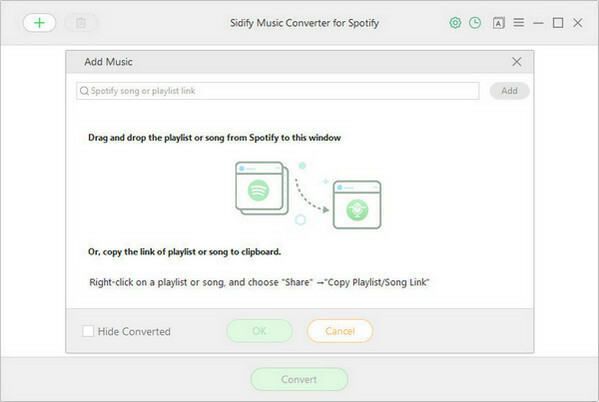 Or you can directly drag & drop the music or playlist from Spotify to Sidify Music Converter. Then click button to customize the output parameters including output format, output quality, conversion mode and output path. 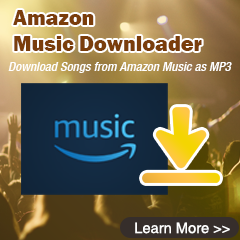 Here you can choose MP3, AAC, FLAC or WAV as the output format and High (320) kbps as the output quality. Now that you have got DRM-free Spotify music on your computer, it's time to start syncing music to Huawei P30. You'll need to connect your Huawei P30 with computer via a USB cable in this process. That's it! Once your songs are transferred, all there is left to do is open the Music app and pick a song. Whether you're going to the gym or out on a run, even without network connect, you can stream music on your Huawei P30 for music playback.